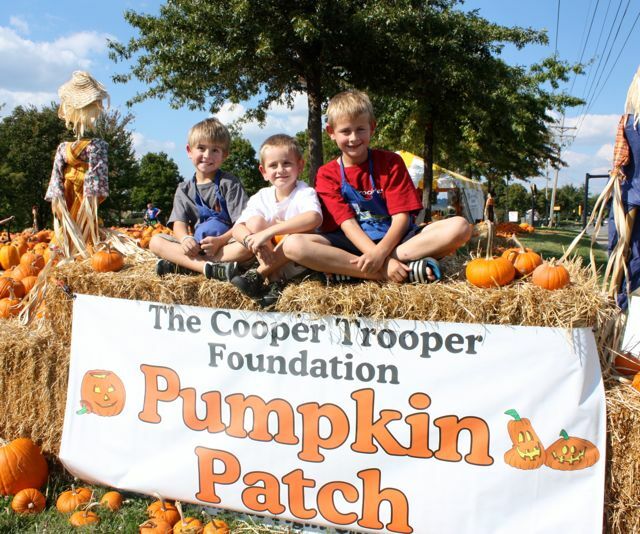 We really could not pull off a month-long pumpkin patch without our volunteers. The commitment and countless hours selflessly given by these volunteers is mind-blowing! We also could not do what we do without our incredible business sponsorships. These truly allow us to operate the patch without using a dime from our budget, thus more dollars doing what matters…helping families with a child diagnosed with cancer. We also got the opportunity to bring more awareness to childhood cancer and what CTF does, which is priceless. So, thank YOU who were involved in ANY way; whether unloading and volunteering, doing things behind the scenes, sponsoring, cleaning up after, “BUYING your pumpkins for a purpose”, or just telling someone you knew to come get their pumpkins from us. We hope you know how deeply grateful we are! !